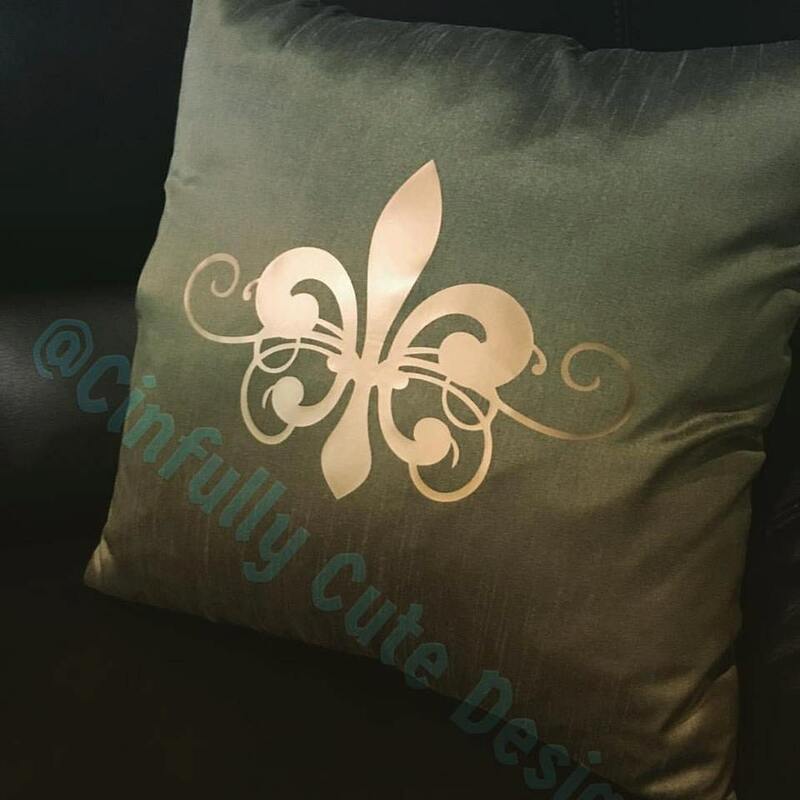 Beautiful olive green dupioni silk-look decorative pillow cover with scrolly fleur de lis in matte gold for a gorgeous high-end designer look! 18x18 pillow cover with invisible zippered closure. 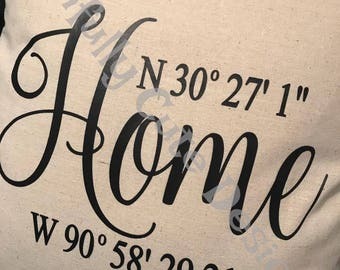 Can also be personalized with monogram, name, or single initial, or done with your favorite quote or design! Very unique Christmas, wedding, or housewarming gift! Please convo me with your custom requests. If you need rush processing, please purchase the Rush Order listing. Please note: 18x18 pillow insert is NOT included and may be purchased at most local department, craft, or general merchandise stores. For personalized items, please double check spelling of names. For monograms, please provide the full name of the recipient so that I can place the initials in the correct order. No returns or refunds on personalized or custom made items unless there is an error on my part. All of my items are made by me in my smoke-free studio. Please visit us on Facebook at Cinfully Cute Personalized Designs!